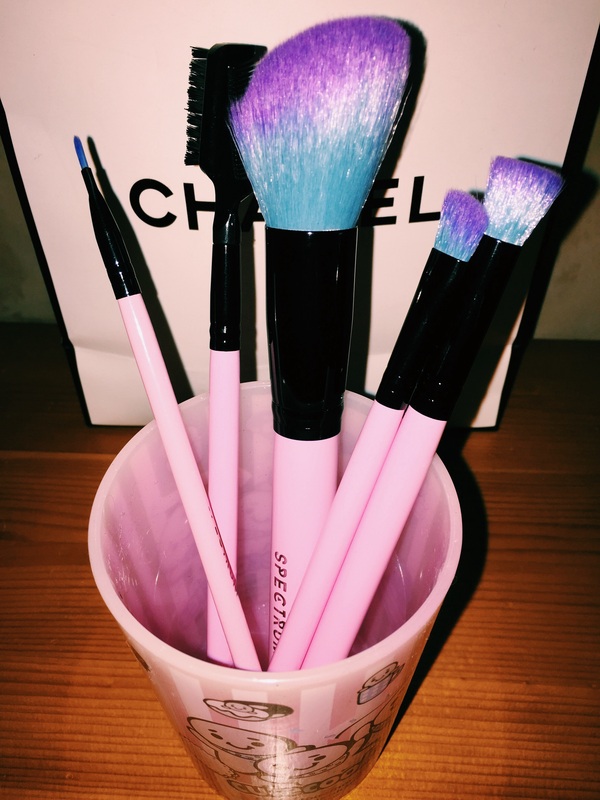 I’ve very recently discovered my new favourite makeup brushes from the Spectrum Collections.. Yes they look very kool, but there is a lot more to this pretty range than just that! For me I personally prefer synthetic brushes- if you’ve ever had a natural hair brush set, the hairs just go everywhere! 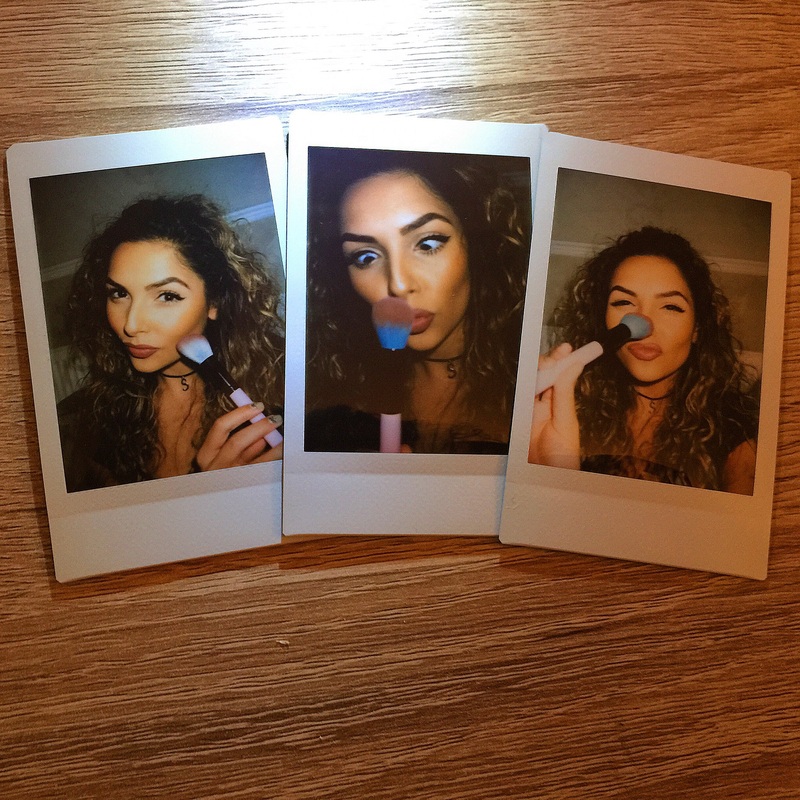 Synthetic brushes tend to not absorb the product- therefore applies liquid foundations, concealors, gel & lip stick a lot better than a natural brush. 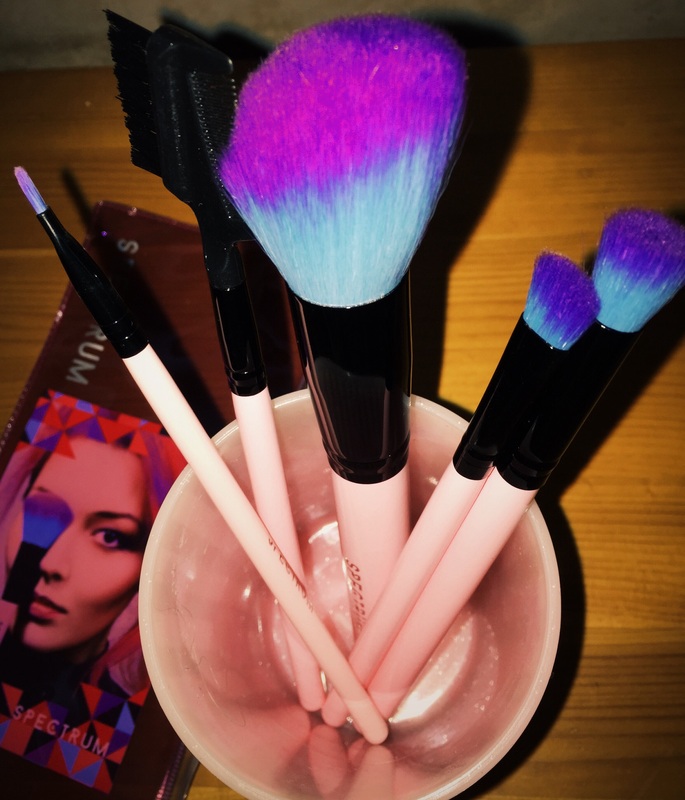 What most people don’t know, is that Spectrum are a trend driven makeup-brush brand… this means they will constantly be bringing out new brushes throughout the year, so the brand will continue to grow & change. The beauty of it- well who doesn’t love a pretty brush! I for one love the pastel range.. Which I’m glad to confirm will be here to stay- but for those who want something a little different, Spectrum are aiming to have 2 different colour ways on the agenda for 2015… Rumour has it that a beautiful turquoise is next up!